I’m not usually a huge fan of breakfast, but these quick and easy eggs are my new lazy weekend morning go-to. 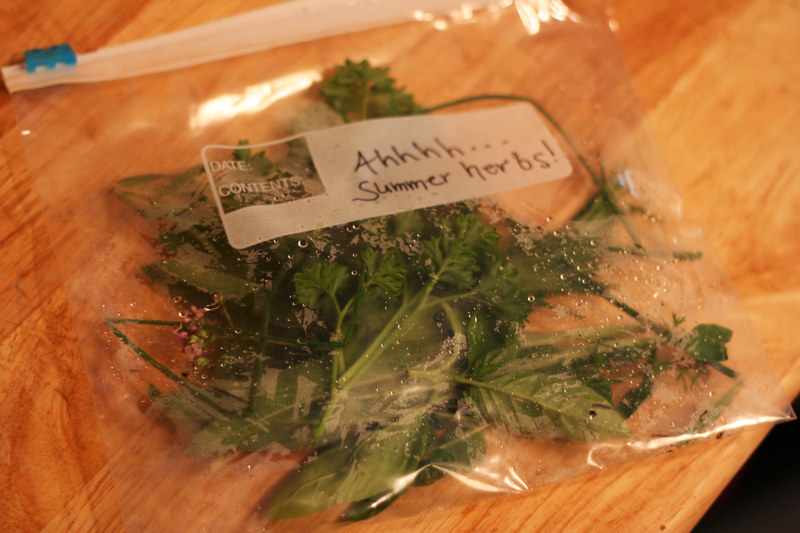 My adorable ma gave me a bag of fresh herbs from her garden which were perfect to toss into this recipe. I’m pretty sure I have a feta-addiction so trying this yummy cheese in eggs was a no-brainer. 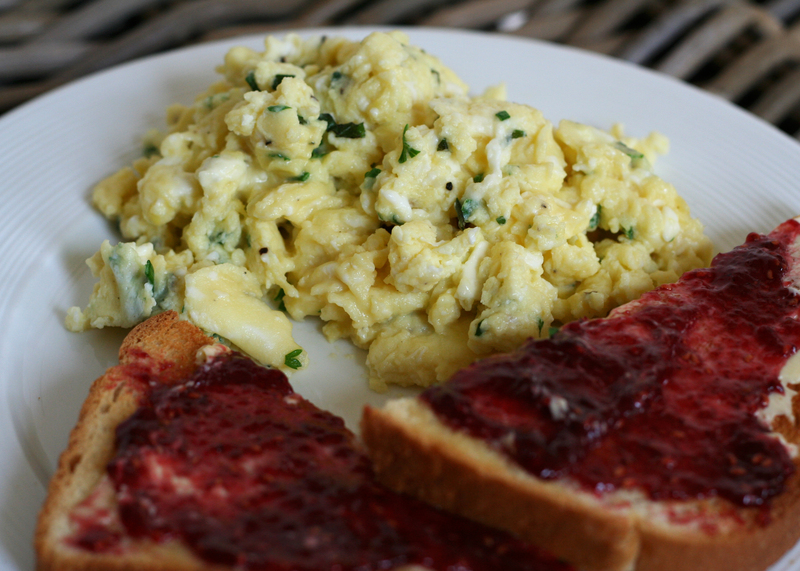 These eggs are creamy and perfectly salty and tangy from the cheese, I could probably eat them every morning. Give ’em a try and let me know what you think! First melt the butter in a pan over low-medium heat. Then whisk together all remaining ingredients except for the cheese. 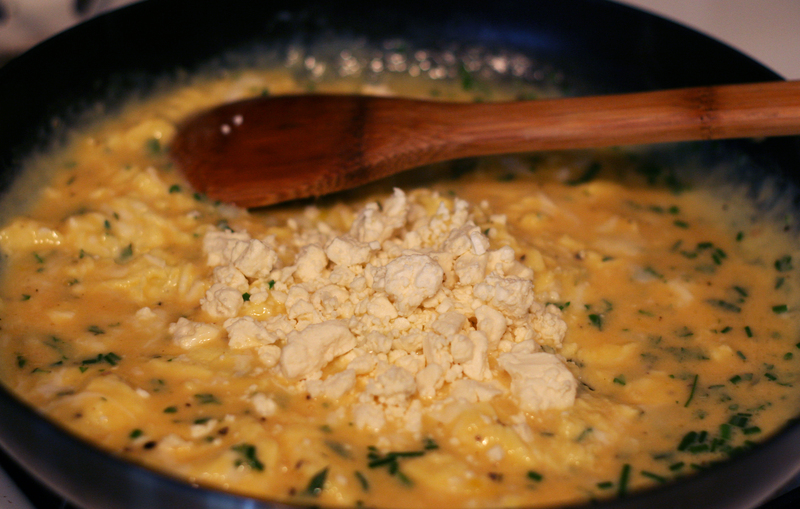 Pour the mixture into the pan with melted butter and start to do the normal scrambled egg thing. Add the cheese when the eggs are slightly starting to cook and fold together. Keep folding over eggs until cooked, and voila! 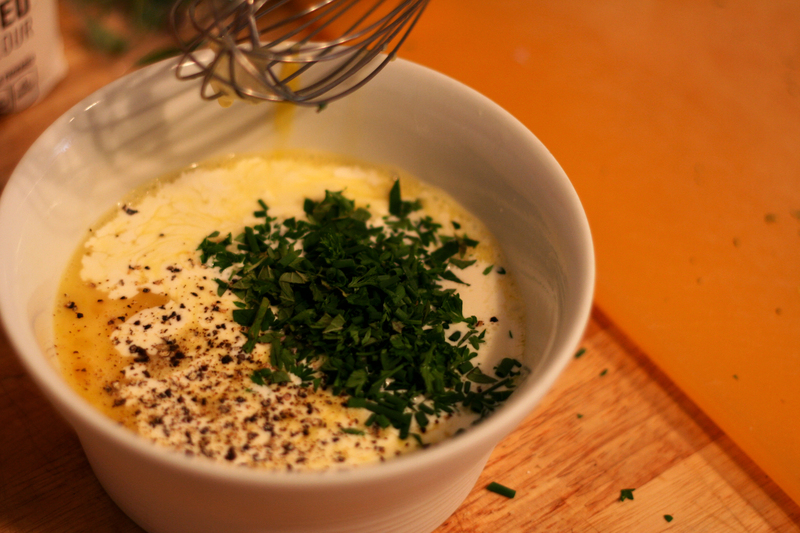 Delicious herby, cheesy eggs. Thanks Debbie! Super easy too!